We have settled in Ottawa, Canada and have had the opportunity to plan and take a few trips. This area is intended to allow us to share our trips with family and friends. I have divided this chapter into individual trip reports. I have used some of these reports for additional purposes such as public lectures on some of the more interesting trips. I have attempted to encorporate some background details to give context to the areas we have visited. 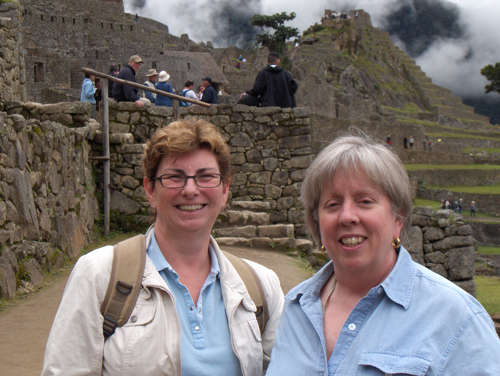 Pam and I took a trip to South America in March and April 2008. 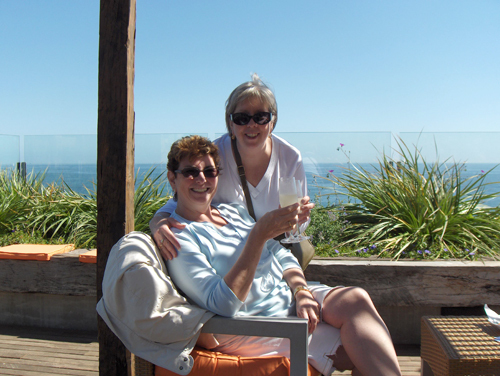 Pam and I travelled with our friends Andrew and Kathy Johnson again: this time to South America. We had felt guilty for not having visited there before and Kathy had proposed a number of different trips to find one we all liked. 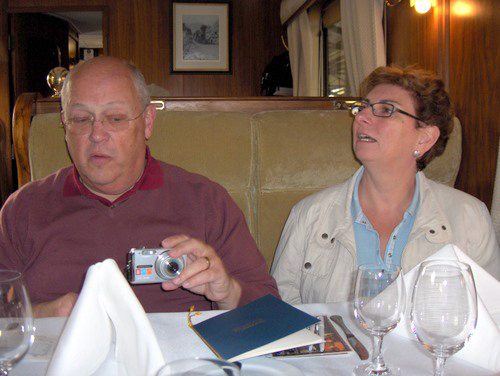 Kathy and Andrew have earlier travel industry experience and we quickly pared the options down to a cruise up Western South America and through the Panama Canal with the Celebrity line on Infinity: 30 March-13 April 2008. The ship carries 3,450 passengers and like all cruise ships it is a floating hotel. For those tempted the costs were: c$2,500 each for the cruise and an additional $3,000 each for a major excusion to Machu Picchu. 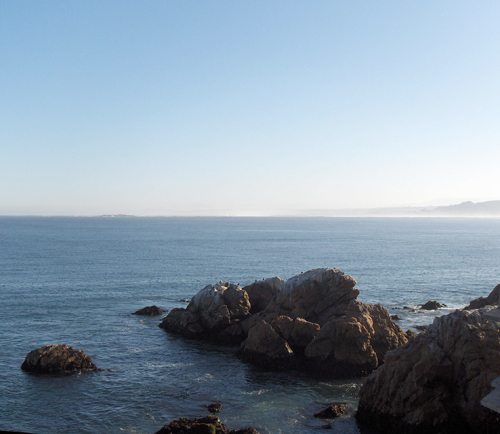 That particular cruise sailed from Valparaiso, Chile to Fort Lauderdale in Florida. We flew out of Washington on 24 March, Easter Monday; and we stopped in Florida and at Bogota, Colombia. Bagota is in the Andes at 2,640m (8,661') elevation. Of course we were bleary-eyed when we arrived at Santiago, the capital of Chile. It was dark when we arrived, so we didn't see the Andes on the way to the hotel. For those of you interested South America was the origin of potatoes, sweet potatoes, chilies, cocoa, manioc (cassava), squash, lima beans, a native cotton, and quinine. The Caral Supe, and Norte Chico civilizations in Coastal Peru apparently formed the oldest civilisations in the Americas (at about the same time as Sumer in Mesopotamia). Those peoples developed writing, government, farming, trade, and evidently were sufficiently isolated on the Peruvian coastal desert (c320 kms long), that while they built pyramids they left no record of warfare. They grew maize (corn), which had been developed earlier in Mexico and traded that to fishing communities on the coast: extensive piles of fishbones have been excavated in the Peruvian sites. The melting Andean snow feeds several rivers, which flow down to the Pacific Ocean through the desert and supported life in the barren desert. This had all made me curious about those clever people and the areas where they lived. The city population is about 7 million, so this is no sleepy village. The picture tells it all: it is a thoroughly modern city with continuing Spanish economic influence. Sitting in a valley, there is air pollution, but the rare views of the spectacular Andes. The Andes average 4,000m (13,000') and top at 6,962 m (22,841') in Ecuador. The had just been a currency shift away from the $US, so Santiago wasn't cheap, but it looked remarkably familiar. There were a host of good hotels and the girls went shopping in familiar-looking shopping malls. It could have been Spain, France, or Mediterranean Italy with a lovely climate and view of the Alps. Evidently we all survived the long flights and we had lunch at a first class restaurant and found excellent an Chilean wine. The four of us shopped and toured the city. 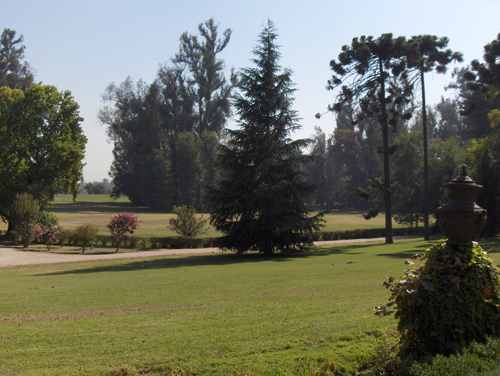 The Spanish Governor's palace is now houses the Chilean President. There appears to be a large middle class and a smaller wealthy class. We saw some palatial, gated homes, which suggest a privileged life-style for some. Conquistadores didn't bring women and the population is now of mixed ancestry, but Spanish influence is everywhere. When we drove into the country we found a much poorer life-style. The contrasting architecture says it all: Santiago is an interesting city with a mix of styles. You will recall that Pizzaro and his lieutenants conquered Ecuador, Peru, and Chile. 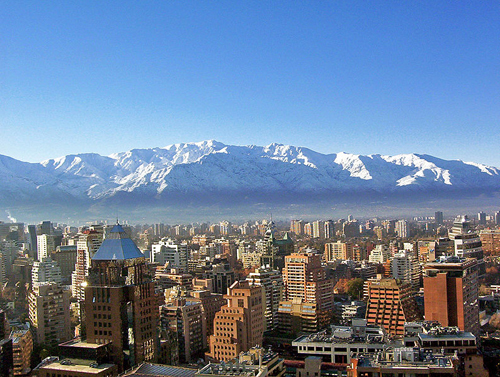 The conquest of Chile began in 1540 and Santiago was founded in 1541. A Spaniard acknowledged that 'We came here to serve God, and also to get rich'. (By 1600, Spain had banked $US2 trillion in gold & silver). The native Indios were treated badly and either converted to Catholicism, or faced the Inquisition. As a gift the Europeans brought new diseases to the Americas and modern research suggests that up to 98% of the natives died of smallpox, or slavery in the Bolivian mines. The Portuguese record is perhaps the worst..
Santiago Churches and history both seem to date from the Spanish Conquest. 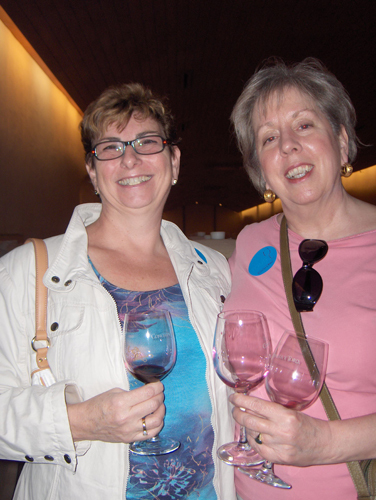 This was at the Viña Santa Rita, where we had a stupendous lunch; but we preferred the Concha y Torres wines. But they had a small museum. The Spaniards didn't get it all and we were very impressed by the quality and care of this private museum. Evidently los Indios were pretty clever working with metals. We learned that many pre-Columbian buildings' joints were sealed with soft gold. As you can see the views were indeed breath-taking. Pam slept with the widows open with the surf directly below muting Pelican and Cormorant cries. 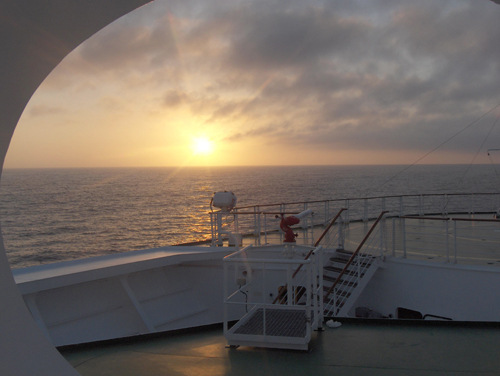 On 30 March we boarded ship at Valparaiso and settled on board. As you see on the map Chile is a long, narrow country, being bounded by the Pacific and Andes. The world's driest desert, the Atacama, is about where Chile is on the adjacent map. There are c5,000 ancient geoglyphs there. Sailing on the Infinity on the Pacific past flying fish, whales and dolphins. 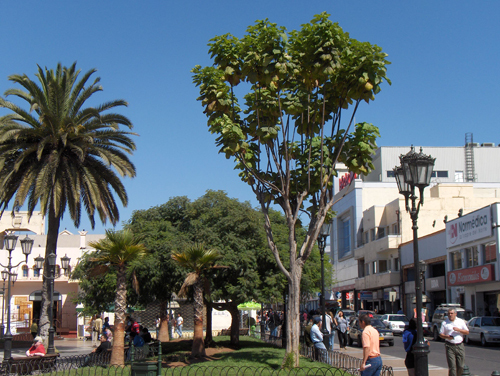 This is a park in La Serena, Chile. 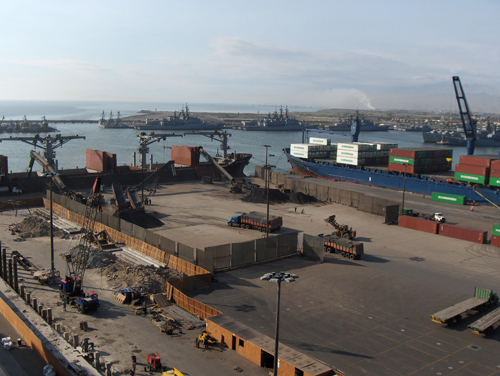 La Serana is Chile's second port. This is the Chilean Atacama desert, which lies between the Pacific and the Andes. Rain skips this area to fall in the Andes. 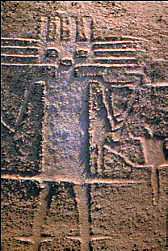 The Nazca people made the 5,000 geoglyphs 1,500 years ago, perhaps as messages or directions for others. The desert runs into Peru, but the pictures there are 1,000 years older. 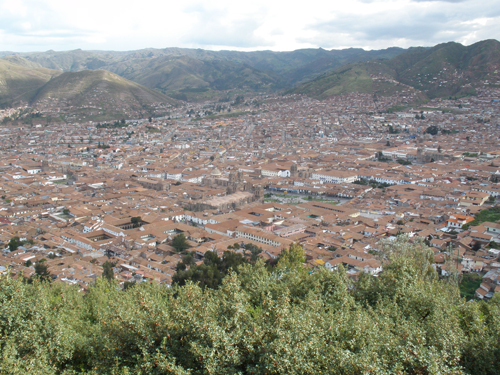 Cuzco is the very clean, former Inca city, still inhabited by their descendants. It is a city of 400,000 and sits at c3,400m (2.1 miles high)! Admittedly we skipped through the desert to fly to Cuzco in Peru (east of Pizzaro's capital at Lima), and the former Inca capital (c1225-1532). 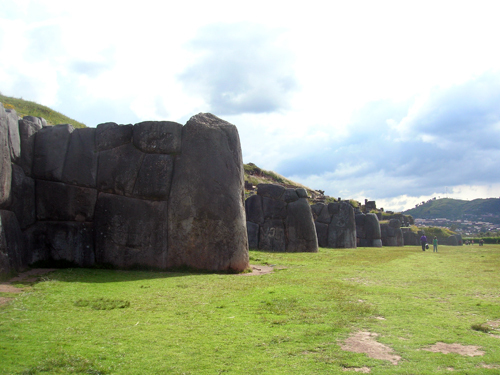 The Incas defeated their neighbours the Killke, who had built this massive fortress in c1050.. The fortress must have been out-flanked, these are BIG, fitted stones. 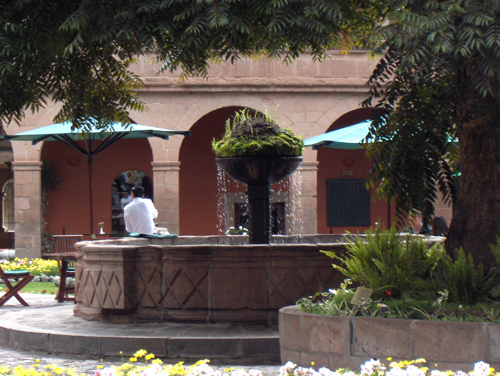 In Cuzco we stayed at the elegant Monasterio and drank cocoa-tea to fend off altitude-sickness. The former monastary is obviously early Spanish, but had been built into the earlier Inca palace. Pam decided that she like shopping for baby Alpaca woolen things in Cuzco. 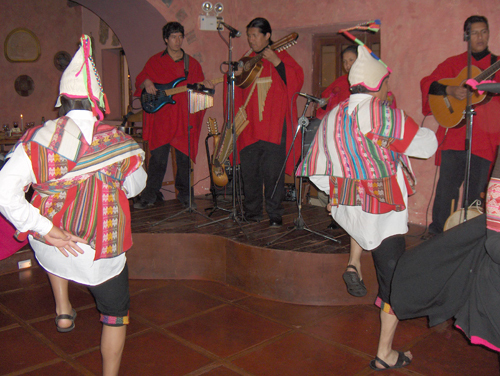 No visit to Peru would be complete without Pan pipes and folk dancing at a nearby restaurant. Yup, that's an Orient Express train in Peru! We were serenaded in the train, while we had a gourmet lunch with wine en route to Machu Picchu. That is the Rio Urubamba, which feeds the Rio Ucayali, which itself is a headwater of the Amazon River, so we were on the east side of the Andes. 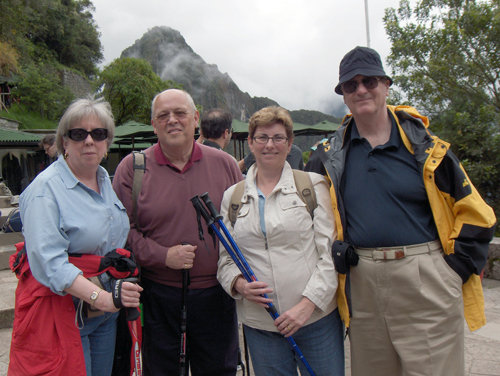 At this point we had left the train and a bus ride up the Urubamba Valley to the foot of Machu Picchu behind us. I guess we looked pretty pleased. Built in c1465 and abandoned in c1650, Machu Picchu (it apparently translates as old peak) was a royal Inca resort town of c1,200 people. Abandoned it remained 'lost' to the modern world until Hiram Bingham rediscovered it in 1911. (Some locals were then living there and farming the terraces!) Evidently old Hiram was a bit of a collector and removed c5,000 things for Yale; however, Yale evidently returned many of them last year. Machu Picchu was far and away the highlight of our trip. 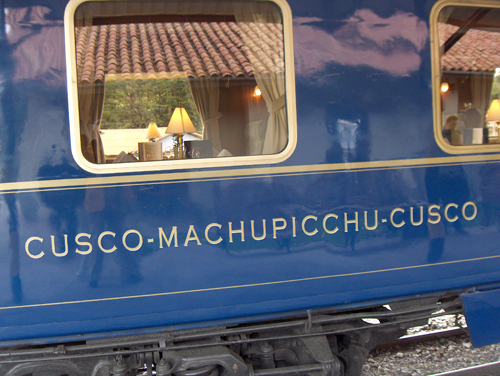 It is 70 kms from Cuzco and we chose to go by train as you saw above. There is an alternative, it is called the Inca Trail and it may take you a week to hike it! The Incas lived on the tops of their mountains, but Cuzco was cold, so they went south in winter to 2,700m. 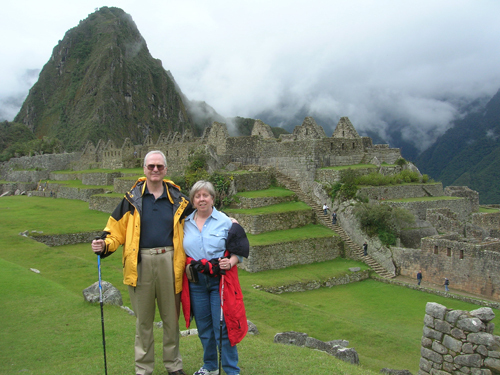 Machu Picchu is on a ridge and hidden from the valley jungle below, from where no rational approach was possible. The guardhouse is at the top of the town - they travelled along mountain tops and you see the clouds! 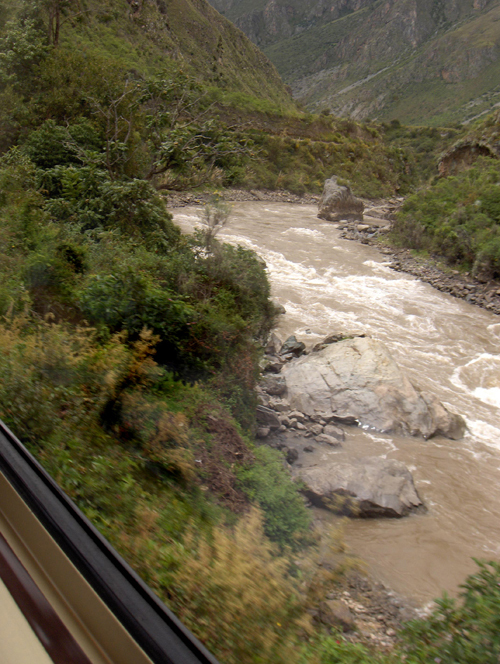 The Urubamba and the Hiram Bingham train contrast the mountain geology. Notice that the rock formations are vertical: the conquistadores never found Machu Picchu. The roofs are gone from these 200 stone buildings now, but the impact is staggering. Note the terraces for farming. The builders even allowed for earthquakes by more spacing for foundation rocks, and channels for water. This is what it is about: most of the structures are built of granite blocks cut with bronze or stone tools, and smoothed with sand. The blocks fit together perfectly without mortar, although none of the blocks are the same size and have many faces; some have as many as 30 corners. The joints are so tight that even a knife blade can't be forced between stones. 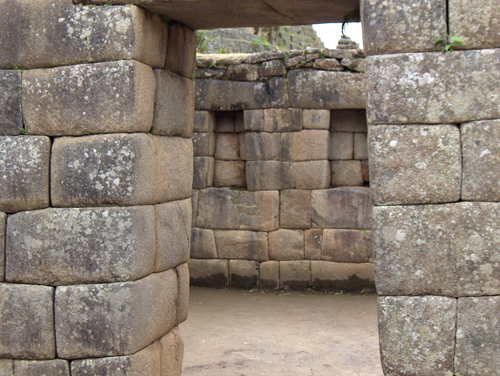 At Machu Picchu architecture was integrated into landscape. Our guide was a proud, thoroughly knowledgeable Inca descendant. His ancestors grew maize (corn), and potatoes - on those terraces; and raised chickens and llamas for meat and milk. Existing formations were used to build terraces and buildings. Sculptures were carved into rock, water moved via cisterns and channels. Religious temples still hang on steep precipices. As you see just getting there was rewarding, the archeology, history, altitude, remoteness, and views create a 'special place' shared feeling. I call Pam 'Bunny' and she throught the Rabbit god had come to encourage her to climb to the top. He was well-dressed wearing a chinchilla coat! That is the massive Huaynac Picchu in the background and we are at the top of the village looking at the Inca Highway and guardhouse. A well-earned dinner and great satisfaction: what a splendid day! We were all excited and chattered about our adventure. That looks like the entire Peruvian navy at anchor in Lima's port Callao. It's a huge port feeding a population of c30 million split in extremes of wealth and poverty, snow and desert. Lima's 1 million people had a recent earthquake. The country was evidently named by it's conqueror Francisco Pizarro after he crossed the Birú River in southern Colombia. Pizarro defeated the Inca Emperor Atahualpa in 1532 and conquered the Inca empire, which covered Ecuador, Peru, and much of Chile. 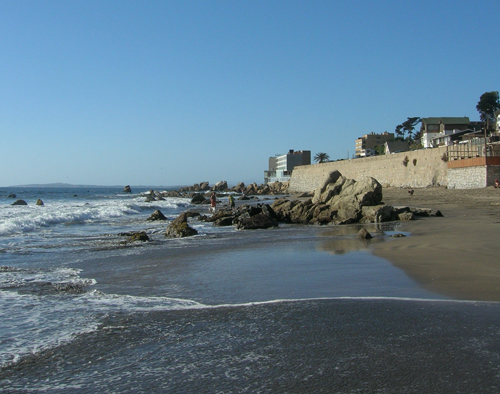 Pizarro founded Lima in 1535. Manta was our next port of call in Ecuador. Ecuador means equator in Spanish and this is on the equator and VERY hot. 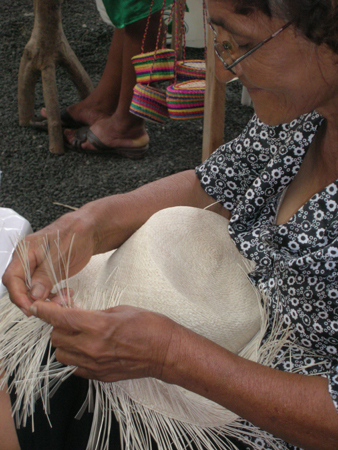 Panama hats come from Panama? They don't, they come from Manta. Woven with flexible, native straw they're shipped west via Panama, from which they took their name. The trip from New York to San Francisco is 9,500 kms via the Panama Canal and 22,500 kms around Cape Horn. The French started in 1880 and the Americans finished in 1914. (Teddy Roosevelt wanted to be able to switch his navy quickly from Atlantic to Pacific.) 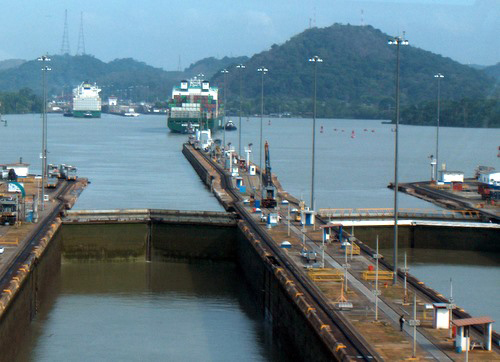 It is a 77 km route of entrance channels and massive 33m x 300m locks on either ocean, a major cut across the continental divide and a dammed Chagres River and artificial Lake Gatun. To build it cost 27,500 lives lost primarily to Yellow Fever, Malaria and landslides. This is the problem: what's up there wants to come down here! Landslides are an almost daily hazard as the entire region lies on the unstable, spreading Cocos-Nazca tectonic plate area. There have been recent earthquakes in Chile, Peru, Mexico, and Panama. New giant locks are being built to handle the huge, modern container ships. Does life get better than a cruise like this? The Caribbean is idyllic and we had a good run to Colombia. No pirates stopped us. A happy Bunny and modern Cartagena, which looks quite different from the old. The city looked familiar and much like Mediterranean Europe. Cartagena de Indias was founded in 1533 and raided by Sir Francis Drake in 1586. The San Felipe de Barajas Fort with 11 kms of walls and gun batteries. The Spanish defeated Admiral Vernon's 23,600-man attack in 1741. One of his officers was George Washington's step-brother, who named Mt Vernon! 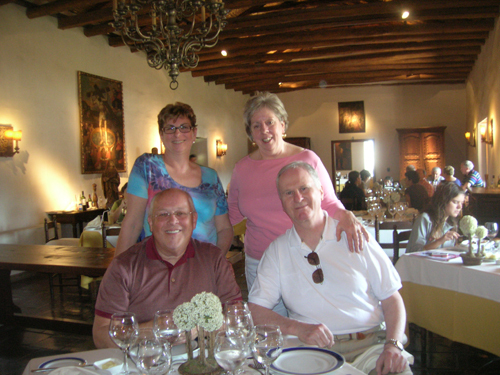 Pam, Myrna, Kathy & Sheldon listened to our guide in Cartagena. We were melting but they seemed at ease dancing in Cartagena's heat. We sailed next to Ochos Rios in Jamaica. Perhaps the Caribbean is shallower, has more white sand, greater salinity, etc; but the water is a dazzling light blue. We had formal nights and a pretty good trip, with thanks to our friends. We landed at Fort Lauderdale, drove to Miami and flew back to Washington.